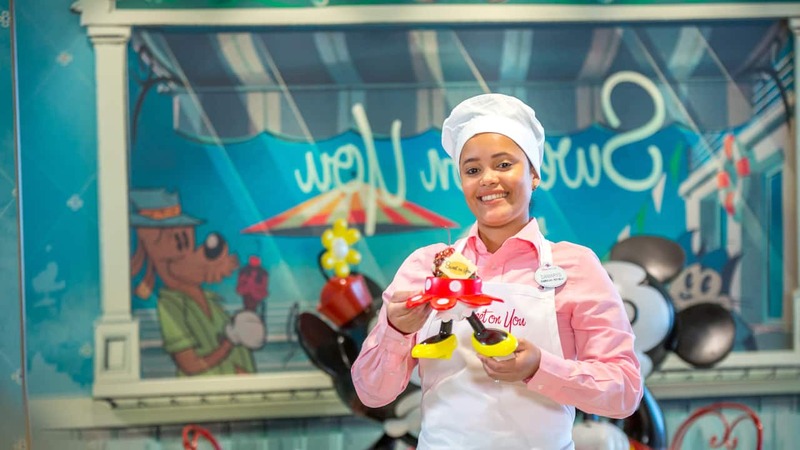 During a weeklong getaway aboard the Disney Fantasy, families have plenty of opportunities to enjoy the delicious treats at Sweet on You, the new sweet shop themed after the iconic Mickey Mouse cartoon shorts. 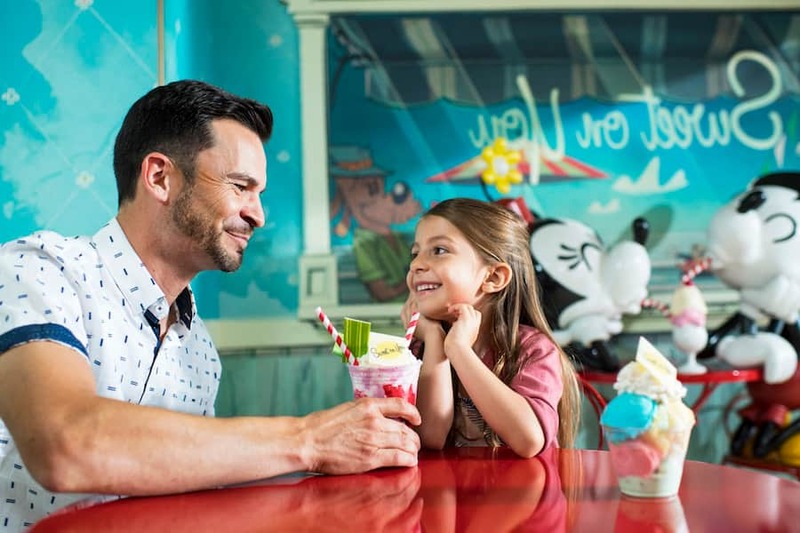 The shop’s charming art details celebrate Mickey, Minnie and their pals, including a replica of the pair enjoying a sweet treat. A nearby table where you can do the same makes for the perfect photo opp with the super cute couple. 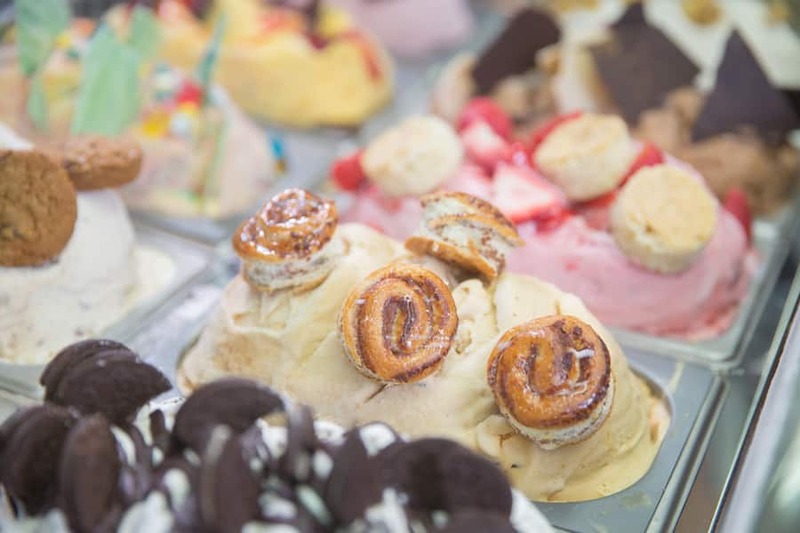 Sweet on You offers a variety of hand-crafted gelato and ice cream flavors. 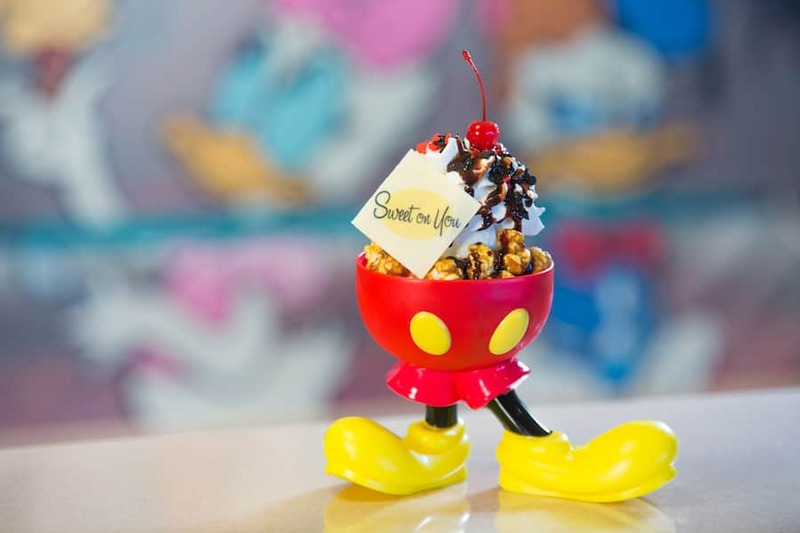 Specialty sundaes topped with whipped cream, sweet sauces and a plethora of toppings are served in exclusive bowls themed to Mickey and Minnie’s colorful, whimsy attire. This summer I shared recipes for decadent treats including raspberry macaroons, chocolate-dipped marshmallows and more. Over the next few weeks I’ll tell you how to make some of our signature milkshakes such as Chocolate Fudge Brownie and Caramel Waffle Cone. Get ready to satisfy your sweet tooth! The cup is soooooooo cute. How can I get one, without going on a cruise.